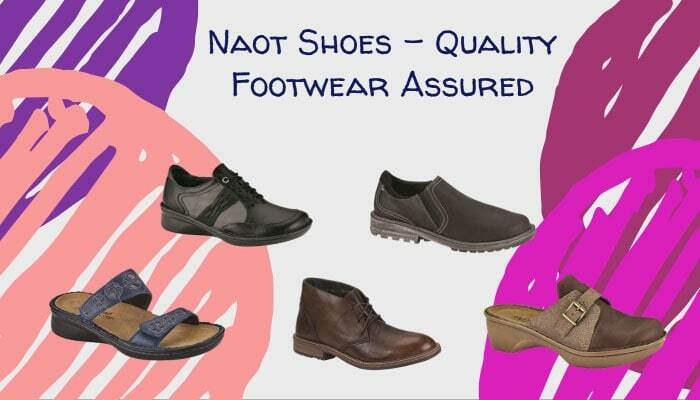 When it comes to quality and stylish footwear, Naot Shoes definitely levels up one’s expectations. An Israeli brand, shoes from this company combined a definite balance of reliability, style, and performance that is best appreciated when actually worn. Launched way back in 1942, Teva Naot actually started as a small factory that focused on producing work boots and sandals. Considering its focused and small (yet considerably stable) market, Naot Shoes actually encountered a major problem during the 80’s. Particularly with the influx of high-end and expensive imports originating from the Far East, Naot Shoes had to revamp its business model. Integrating a modern touch and style into the tried-and-tested footwear that the factory has been making ever since, the change introduced a fresh look into the products, which resulted to the survival – and eventual success – of the Naot Shoes brand. Where are Naot Shoes Made? In what may be a touching and effective move in terms of quality assurance and safety, Naot Shoes is still being made in its home country. With just approximately 150 employees under its helm (including hiring some young Israeli designers as part of the revamp towards a more contemporary look for the brand), Naot Shoes assures consumers that their products are of the highest quality. Aside from shops based in Israel, Naot Shoes can be bought on several online ecommerce sites. The approach of being able to shop online can allow consumers from even outside Israel to appreciate and own some of the finest pairs of shoes ever made. We would now like to take the opportunity to share some of the amazing footwear that this brand has produced. We also do hope that this would help you and our other readers to definitely be interested with the Naot Shoes brand – we do hope you purchase a pair or more from this company as well! From Naot flats to Naot boots, there truly is a pair of footwear that’ll fit your look and lifestyle. 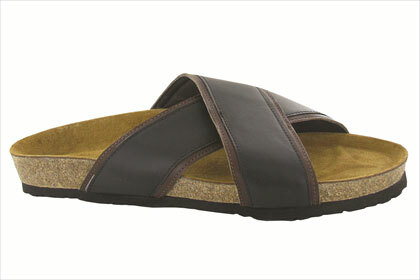 A touch of style with subtle comfort and strength support, Naot’s classic line for men are sandals fit for a king. A traditional slide, the Cheyenne offers the basic sandal look with an extra layer of support and safety. Appreciate and wear footwear from probably the world’s best shoemakers. Crafted by master artisans, Naot’s Handcrafted Men’s line offers classy and stylish looks for men. A lace-up shoe made with the care and attention that only Naot craftsmen are capable of, the Handcrafted Chief is designed with comfort in mind. Designed with a padded interior, the Chief allows superior comfort and insulation without losing out on style points. Offering a style that combines rugged and classic look, the Handcrafted Pilot is indeed a stylish boot. This boot comes with Naot’s unique removable footbed, which allows the shoe to mold into the owner’s foot size/shape. And with the expert strobel construction, the Pilot is truly a tough and beautiful shoe! Perfect for both office and casual wear, Naot Shoe’s Executive line of shoes for men come with the brand’s special anatomical footbed for ease and comfort. 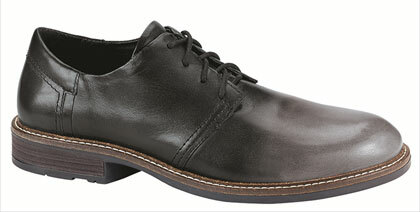 A dress shoe that just oozes with style. Comes with extra pads found on the tongue heel cup for additional comfort. Probably the best shoe to wear to commemorate the many hallmarks in your life. 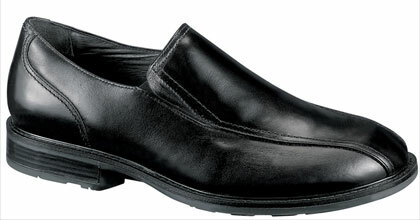 This slip on shoe also comes with a layer of gore within for extra comfort and ease during wears. 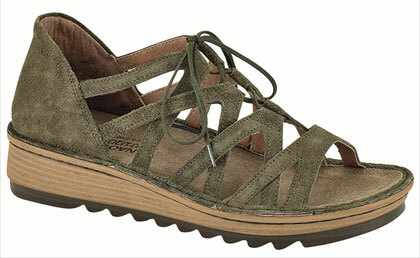 Naot further expanded its women shoe line. This resulted to accolades and increase demands. Connected to the revamp mentioned earlier, and integrating young designers into the company, women now have more reasons to buy a pair from this fine and reliable footwear company! 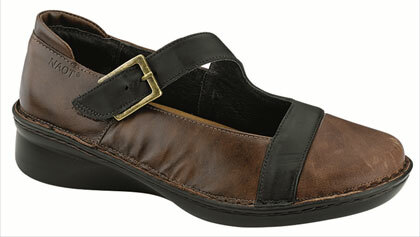 Women’s shoes with a 1.5″ polyurethane sole, the Allegro line offers maximum comfort even for casual events and the like. A Maryjane shoe that comes in contrasting leather and colors. The lightweight built of this footwear is accentuated with the mentioned and tough polyurethane sole. A gladiator type of sandal, the metallic hue of this footwear offers a unique and exciting look. 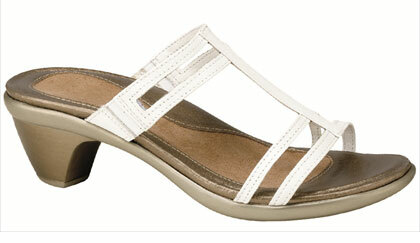 Naot enhances durability and style in this women’s shoe line. Integrating a metal shank and a 2″ TPR sole, extra stability is emphasized in these beautiful footwear. Like its namesake, the Beauty offers grace and style – without losing out on comfort and stability. The cutout design of this shoe is beautifully done with the contrasting leathers used. Sporting a minimalist and delicate look, the Loop proves that one doesn’t need a plethora of elements to look good. A microfiber center is included, to avoid slippage and the like. A great outdoor footwear, the Bloom line comes with a 1.75″ Polyurethane sole. The Ficus offers functionality and accessibility. This transitional sandal provides flexible movement and durability with its stunning design, mainly on its loop backstrap and buckle hook. This lace-up sandal brings about a touch of elegance for outdoor wear. The ghillie lace works best with the pampered suede finish. 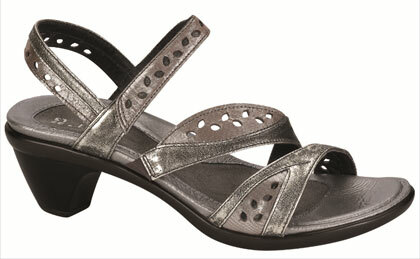 Sandals with a 1″ TPR sole, comfort and flexibility are exemplified in this line of sandals. 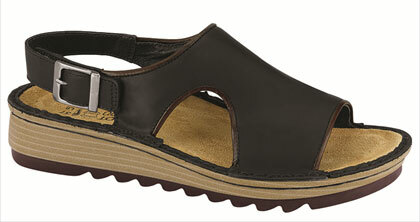 With a soft toe loop, this padded slide sandal is such a wonder to wear. 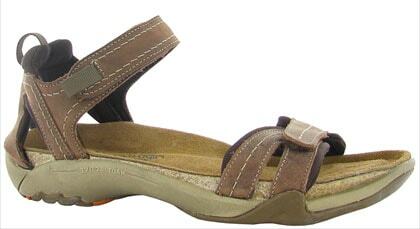 For an extra level of comfort and stability, consider the Flow sandal for you r outdoor wear! 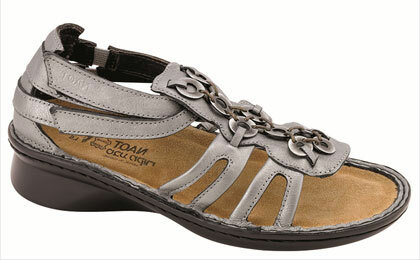 The double hook and loop straps of the Drift assures the owner that this sandal will secure to her foot at all times. Premier and elegant boots with a 2″ polyurethane sole, this Naot Shoes women’s line offers expert and stylish footwear craftsmanship that will make any lady feel like a queen. 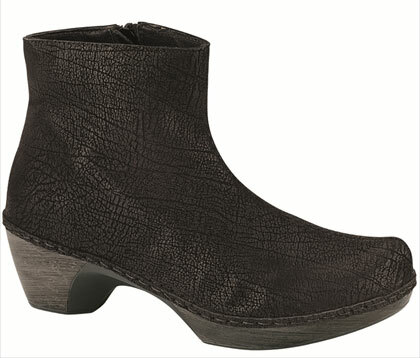 An elegant ankle boot, the Almeria incorporates innovative side stich technology for better flexibility. 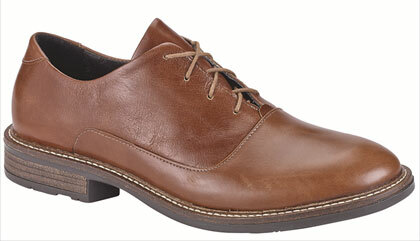 Easy to wear, mainly because of the boot’s inside zipper, this is indeed one fine and comfortable shoe to wear. Fashionable everywhere, boardroom or the outdoors included! 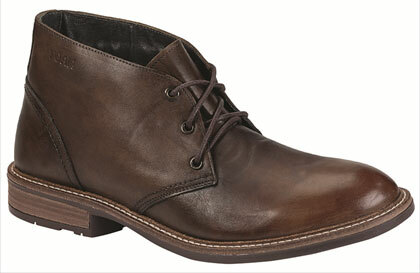 This lace-up boot mixes up elegance with a subtle rugged feel – an impression that will definitely astound anyone. We hope you all consider getting a Naot’s Shoes pair soon!